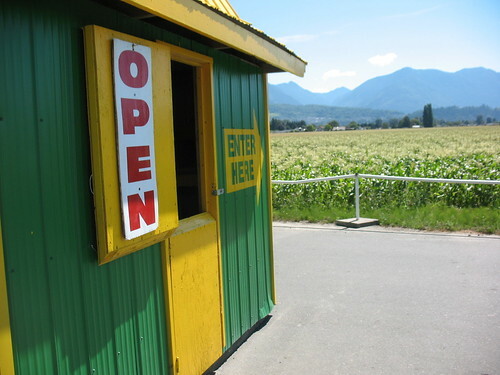 Chilliwack is known for it's corn. Since the spring, we've watched as the fields have been plowed, planted, tended to as seedlings have grown, and now as far as the eye can see, corn fields surround everything from schools to lining roads and swaying in the breeze under power lines. It's not uncommon to see a tractor bumping down the road, bucket full of cobs, on it's way to a corn barn. There are corn barns almost everywhere too. Small, large, drive thru, or off the back of a truck in a parking lot, there is no limit to the places you can get your fix of super sweet, delicious corn. This one is on Young Road, right beside a... you guessed it, corn field! The Sparkes drive thru corn barn on Young Road (you can see it from Highway One) is one of the larger barns, and where I stopped today to pick up a few cobs. 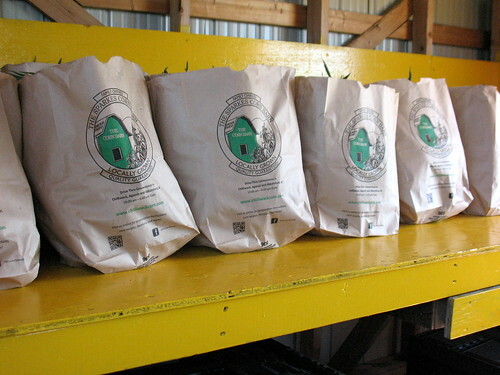 You can get your corn in bags of a dozen or half dozen, but if that's not for you it's also possible to only buy a few. 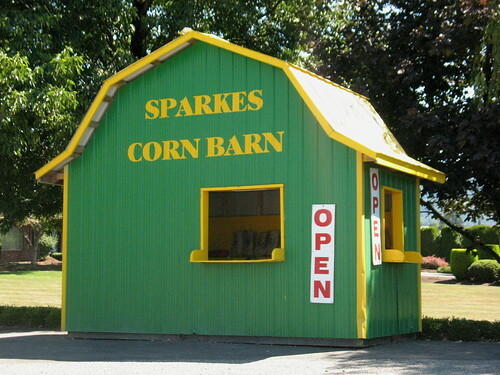 Sparkes corn is non-GMO and picked fresh. With barns all over the place, you have lots of opportunity to pick up some cobs for dinner. With only three of us, I didn't need a whole lot anyway and will likely be back for more! What can you do with your corn besides just boil it and slather it with butter? Recently I found a recipe for pickled corn and I have to tell you that it's so amazing, we've been putting it on tacos, steak, burgers, hot dogs, and even just eating it straight out of the jar. Don't be scared by the addition of dried chiles or jalapeno, they don't go spicy at all and just add some great flavour. Use real limes for the juice, not the bottled stuff, and you'll be golden. In a bowl, mix together the corn, cilantro, onion, jalapeno, chiles, pepper, and lime juice. Put the mixture into a 1 quart (1 litre) Mason (heat proof) jar. Set aside. Stir the vinegar, salt, sugar, and water together in a small saucepan. Bring it to a boil over medium heat, stirring, until the salt and sugar dissolve. Pour the liquid over the corn mixture in the jar. (if you need to add a little more water to cover, go ahead). Seal the jar. Let it cool, then chill. The mixture will keep up to a month, unopened.